If a husband or wife has planned to not live with each other then they can dissolve their marriage through divorce or khula. 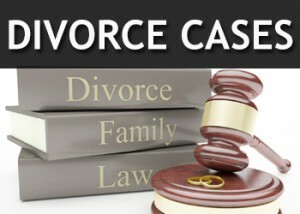 For better understanding of the procedure the divorce can be divided in to two categories as follows. Divorce by husband :- As per Islam and law husband does not need any reason to divorce the wife but he has to follow the legal procedure of divorce in Pakistan to make the divorce effective. One copy of written talaqnama should be send to the wife and one copy should be sent to the chairman Arbitration council. Arbitration council will send notices to both the parties and try to have reconciliation between them. If no reconciliation takes place within ninety days the talaq will be effective however if the reconciliation between husband and wife takes place between 90 days the talaq will deemed to be revoked and ineffective. The divorce procedure in Pakistan is manipulated as per time period because certificate is never issued even after 90 days and work extends to 900 days but we are here to assist you and can expedite the divorce procedure in Pakistan for you.